The Ravensbill is an upright tree which makes it a popular choice for planting as Avenues or for where you want less of a footprint in garden. 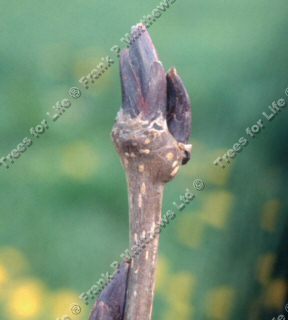 It gets its name from the Winter buds apparently as they are long, black and curved. The leaves turn a great yellow orange in the Autumn. The large number of blossoms in Spring make for an attractive feature of the tree which then in turn go to bright red berries. Another tree from South Korea so you can be sure it will not start antagonistic missile testing in your garden. The Ravensbill Mountain Ash is considered to be a good choice of tree for planting in parks, gardens etc because of its interesting looks, longevity and acceptance of a wide range of soil types. Unlike many other Sorbus, this one does not like to go to the hair dresser and have its locks cut. It other words only prune when absolutely necessary e.g. dead, diseased or crossing over branches. Ravensbill is suitable for planting in normal coastal and/or wet conditions. Tsunamis will of course invalidate your tree warranty! Should you have a clay soil, you can plant Sorbus Ravensbill Mountain Ash in there but some organic matter mixed in with the excavated dirt will help the tree along and also improve drainage. If you are phobic about birds, maybe the Hitchcock film did too good a job of scaring you, then do not get the Ravensbill as the berries are a great source of food for the birds. Considered a small tree, so expect a height of around 4 metres (13 foot) after 10 years although this can very depending on local conditions and weather. What ever growth you get, width should be around 75% of height. Should you get more growth than needed then manual pruning will solve that problem, if you do not get enough growth then you could stoop a little to make it look taller or glue some previously pruned branches to the uppermost ones. These obviously will not bear fruit or leaves and will look dead for good reason but you got the height you wanted. 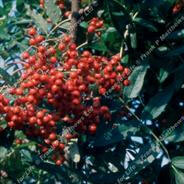 This tree is supplied at a height of between 1.40 and 1.80 metres and supplied in a 12 litre container.